Be careful of what you download on internet. Scammers have been trying every bit of technology available to them to dupe YOU. These recent cycle of news is about scammers offering you tech support via phone leading you to believe in downloading some of their softwares only to get access to your computer and steal information. And these scammers are operating from their bases in India. If you ever happen to get call from these notorious goons, just waste their time and make fool of themselves at the end. Few weeks ago, that's what I did when one of these bastards called me trying to rip me off. This sucka that I encountered was posing as a member of Microsoft Tech Support Team. 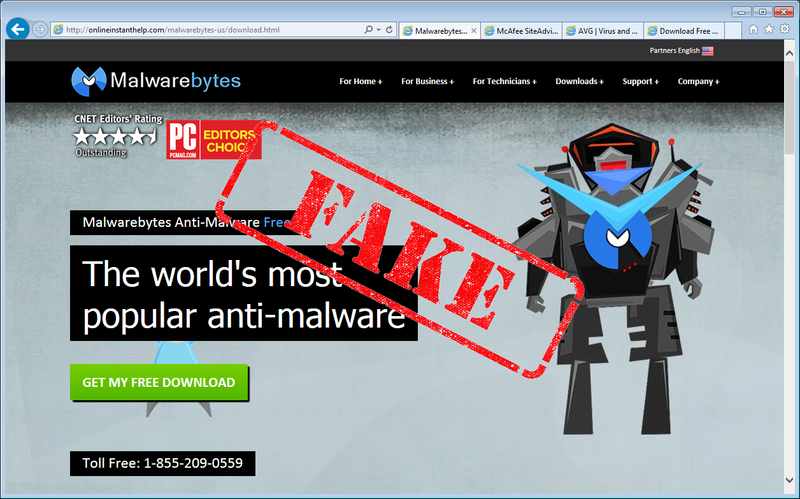 Popular Anti-malware Malwarebytes has written a detailed blog showing how these scammers work. As I was going through some of the works of these scammers, I was so amazed and couldn't believe that how authentic and real their fake products look like. I mean they pose as being big security companies offering downloads of their freewares. Had I not looked at their URL, I would have been easily fallen prey to them. Anyway, check this detail story here and share it if possible. People need to know it and unmask these good for nothing cyber criminals and their activities.